Major changes are on the way regarding the use of electronic cigarettes in Thailand. The excise department will be taxing the devices and vaping liquid leading the way to their use being legal in Thailand. Many people have criticized the Thai authorities for being behind the times. E-cigarettes are legal and taxed around the world but in Thailand tourists wondered if they could face jail time for vaping. Chief of the excise department Pachorn Anantasin has announced that the different kinds of e-cigarettes would be subject to tax and thus legal. The Food and Drug Administration will be involved in categorizing and assessing vaping liquid so that it can be taxed appropriately. Sanook reported that this development would be good news for local vapers and tourists visiting Thailand. Thaivisa notes that the legal hurdles presented by the lack of excise led to producers, importers and even users of e-cigarettes facing jail. The country could see an explosion of vaping - like in the UK where shops selling the gear are on many street corners - once excise is paid on both the devices used for smoking and the liquids. Thailand Tobacco Monopoly has finally got its vape products ready to go to market I guess. No one seems to be able to come up with any other reason why they have been illegal thus far. it only contained 1 "dangerous" chemical Nicotine ? As a non-smoker I had no idea. I assumed (dangerous, I know) it didn't affect bystanders? From a 100k fine to legal after taxes are assessed...……………...no greed here. Praise Buddha! It's always better to say nothing when you don't know what you're talking about. "To use an e-cigarette, you load the liquid and apply electricity, heating the liquid until it vaporizes. At this temperature, the chemicals inside the fluid undergo a breakdown process and are converted into other chemicals. Using an advanced measurement system called nuclear magnetic resonance spectroscopy, scientists examined the new chemicals, and in the process, found a particularly concerning result. When the e-cigarette liquid broke down, it produced both formaldehyde and formaldehyde-releasing agents, a troubling result when you consider that formaldehyde is a known carcinogen. In fact, the recent article compares the risk of developing cancer from this e-cigarette toxin to the risk of cancer from smoking traditional cigarettes, and states that that the risk with e-cigarettes may be up to 15 times higher." Have you ever smelt ecig smoke? Not only it’s a sweet aroma like bakery it’s gone within minutes of not seconds. after the ban on Cigarettes comes into force. All is not lost, !!!!!!!!!!!!!!!!!!!!!!!!!! well done for waking up Thailand. 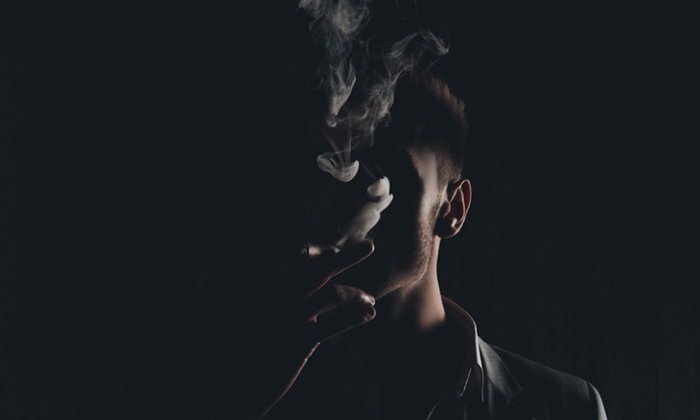 The evidence is clear that exposure to second hand smoke is harmful, which is why the UK has laws prohibiting smoking in enclosed public places and workplaces. These laws do not cover vaping and organisations are free to make their own policies on the use of e-cigarettes on their premises. E-cigarette liquid is typically composed of nicotine, propylene glycol and/or glycerine, and flavourings. Unlike cigarettes, there is no side-stream vapour emitted by an e-cigarette into the atmosphere, just the exhaled aerosol. I notice it says, "to date, there have been no identified health risks"